Hoiio SIP (Session Initiation Protocol) provides low cost, high quality SIP trunking solutions for IP-PBX phone systems. We are compatible with all phone systems (Xorcom, 3CX, Asterisk, Grandstream, Cisco, FreePBX, Avaya). Get ready to super-charge your SIP trunk with Hoiio! Our solution has enterprise features (http://www.hoiio.com/enterprise-sip-trunk) that most competitors do not have, enabling you to easily support enterprise security, compliance and workflow requirements, setup auto attendant, Interactive Voice Response (IVR), automated DNC (Do Not Call) checking, Virtual Line and Call Recording workflow into each and every call. 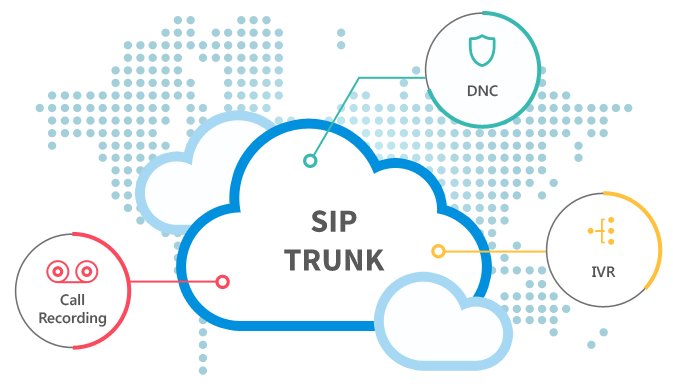 With these integration abilities, security and high availability features, we have a very comprehensive SIP Trunk solution with plenty of useful features. Moreover, we constantly listen to feedback from customers and add on even more new features to stay relevant in the market.